You wonder what those guys are doing on our PAF grounds? 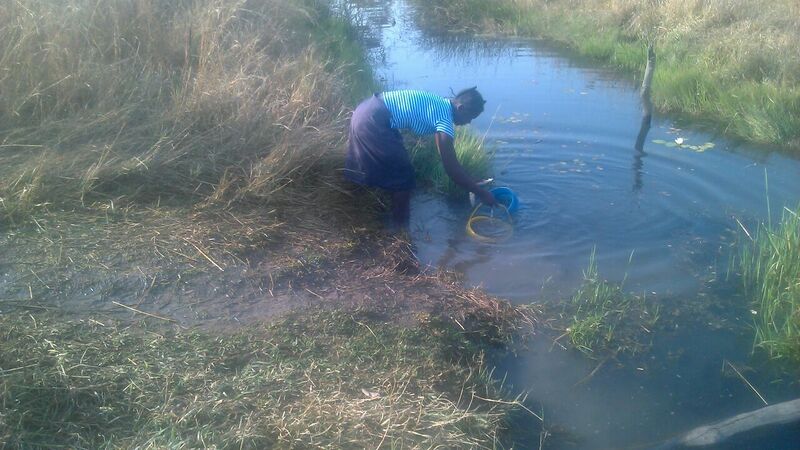 Well…turns out they were divinging water Zambian style. And guess what? 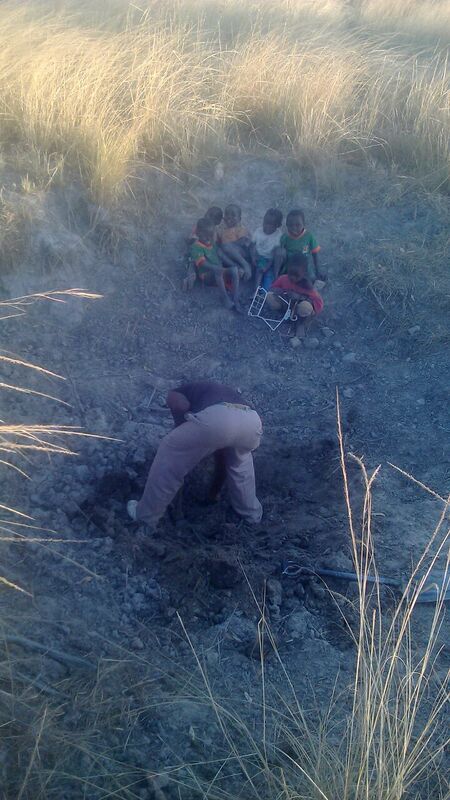 They found a perfect spot where we plan to sink our borehole. Of course we still need to get the funds and raise money to do that. But we already know where to put it…close to our library and sewing room. Of course we will double check the spot before we start the work 😉 But TIA, people! We don’t import ideas…we just improve on old ones! As you know Planting A Future does way more than “just” planting trees. We are trying to help our community in every way we can. These are some of the brainchilds of our initiative to insure household food security. Isn’t it awe-inspiring to see the results? Many people in and outside our community come to us for advice, for seeds or seedlings. We help as much as we can. One of the people we support ist Davis Chibanje. The chibanje family benefits from our stream damming a lot. 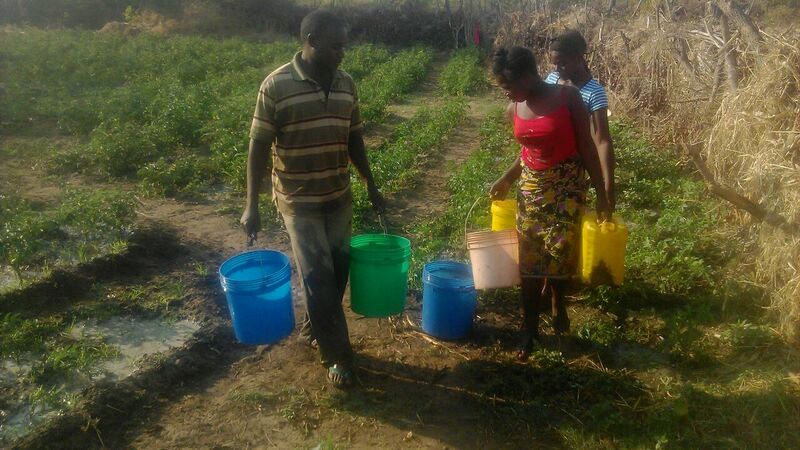 It allows them to water their veggies and that way produces more for their own food security and to sell at the market. Planting A Future helped Davis and his family to build a small dam to store water for his crops, household use and animals. They also recieved some of the veggie seeds from us. 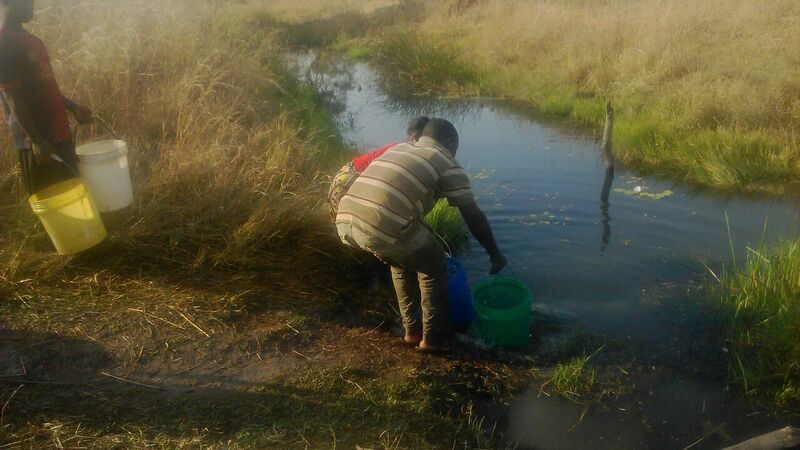 Thanks to the dam Davis is now able to produce more tomatoes, cabbages, carrots and beans. But not just Davis is excited about Planting A Future and their work for the village community. 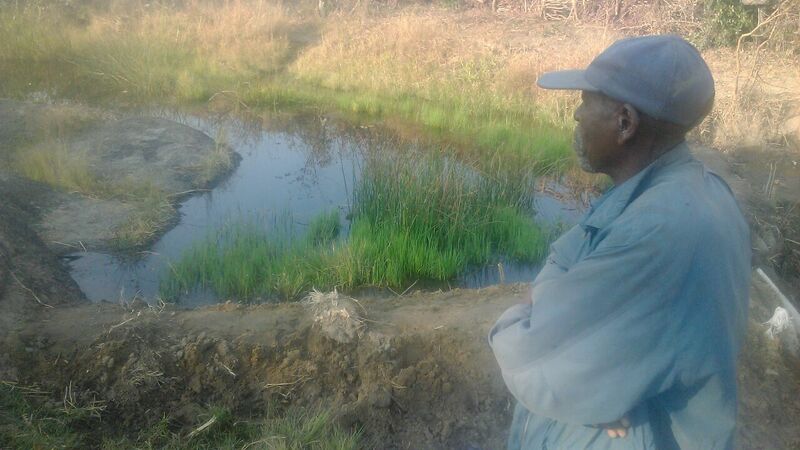 Also the village Headman Siazwenaabo is very impressed by what we achieve and do. But just have a look at the dam we built! I mean…who would not be impressed? 😉 Simple, but serves its purpose very well and improves people’s lives. Let us take you on a little Journey to Zambia! Check our cool photo slideshow! 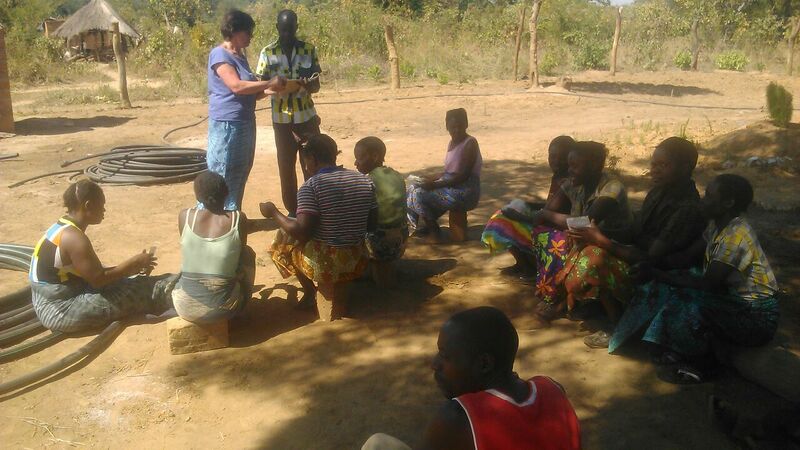 We put together some of the pictures Bruni took during her visit at Planting A Future! Lean back and enjoy! Let us take you on a little journey to Chinkonono Village! 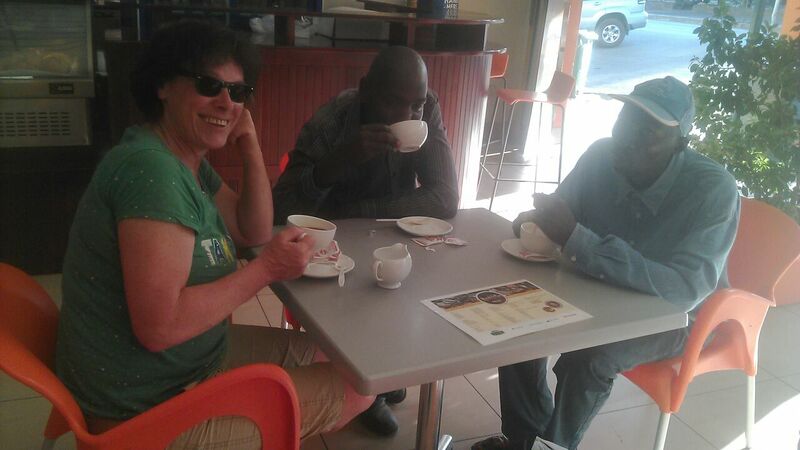 …the story continues: Bruni visits Zambia! One cold June morning a pupil came to me and said ”teacher, I have to go back home and see if dad is awake now”. I stopped marking the register and looked at the shabbily dressed and frail looking boy. It wasnt strange to hear him say this or feign sickness so that he could go back home pick an empty sack and go into the bush to collect monkey oranges for his lunch and supper. But this time instead of the usual mischievous glint in his eyes they were filled with tears. This puzzled me and to avoid a scene I allowed him to go. Two hours later the boy came back and told me his dad was still asleep but in the same position he had found him eighteen hours ago. This got me worried as I knew the bad health the man was experiencing. He was on TB treatment and I had often driven him to the clinic. The man was on Anti Retro Viral drugs due to his HIV positive status and instinct told me he was dead. With a two men we went to the boys home and found the man dead. The boy was too young to notice it but the man had been dead for close to twenty hours. It was a sad site. The man was lying on the bare ground with a tattered blanket nearby. A few cobs of maize where the only hint of food. It was obvious the man had died of ARV poisoning due to lack of food. A lot of people have died in a similar way and from what i knew many more were going to be killed due to lack of food while on anti retro viral therapy. It is this incident which spurred me to embark on a quest for a food source which was reliable and easy to grow. 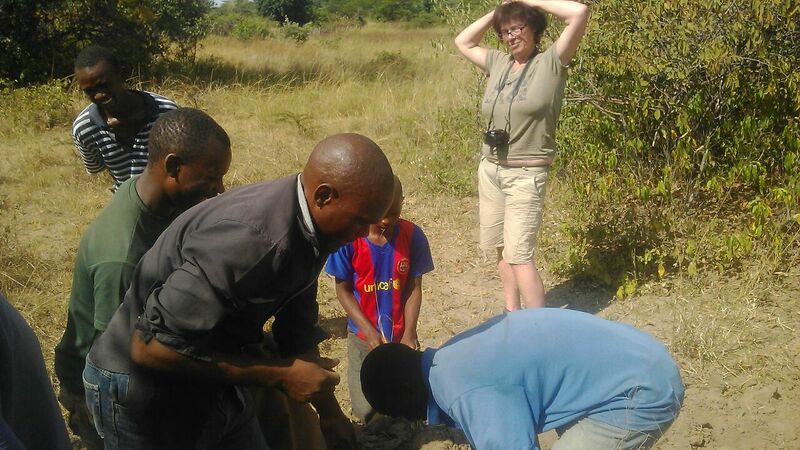 A year later after a long battle to obtain permission to import breadfruit seedlings my friend from Germany, Juliane Friedrich, understood the challenges Zambian villages were facing. 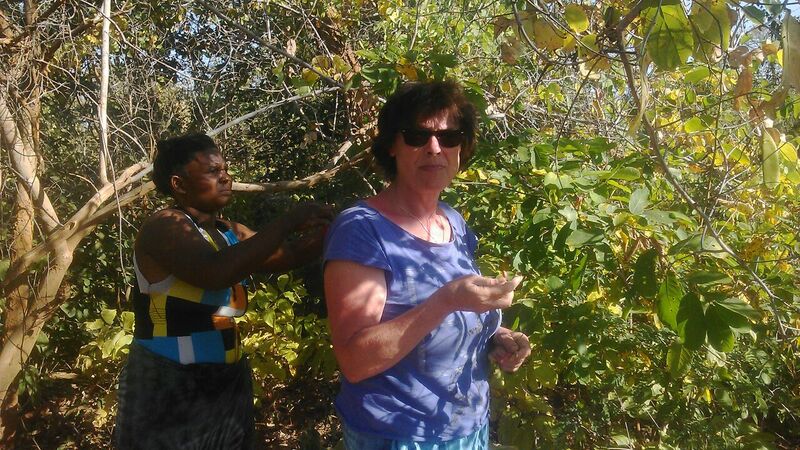 In Octobre 2014 Julie handcarried 150 breadfruit seedlings into the country. This was the birth of Planting A Future. 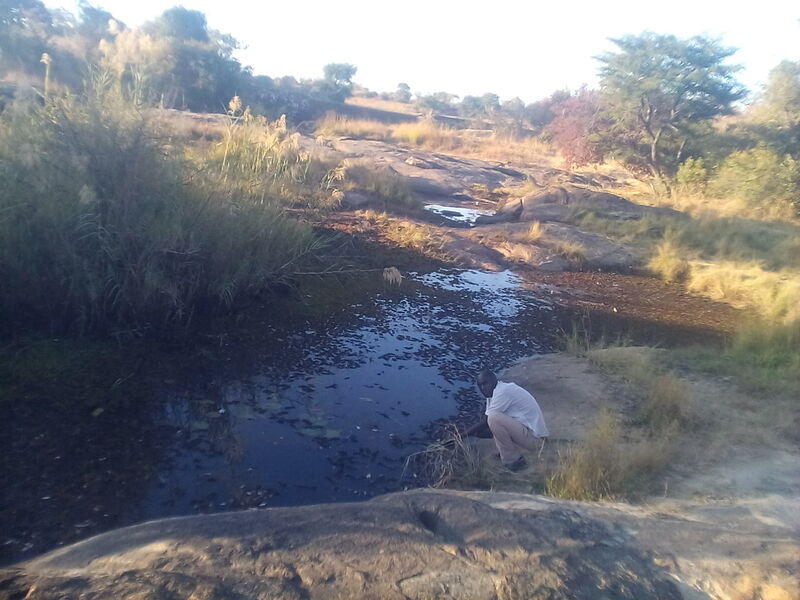 The Friedrich family, mother and daughter, saw the challenges I was facing in terms of keeping the trees alive as there was no water. 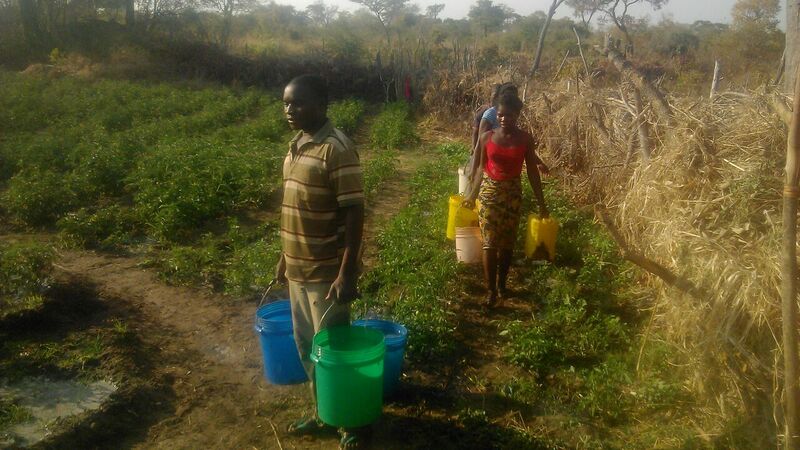 The two embarked on fundraising in order for us to acquire irrigation equipment such as a pump and tank, nursery shelter and fencing. After a long struggle our partners in Germany managed to raise 3.500 Euros and sent it to us so that we can buy the required equipment and materials. 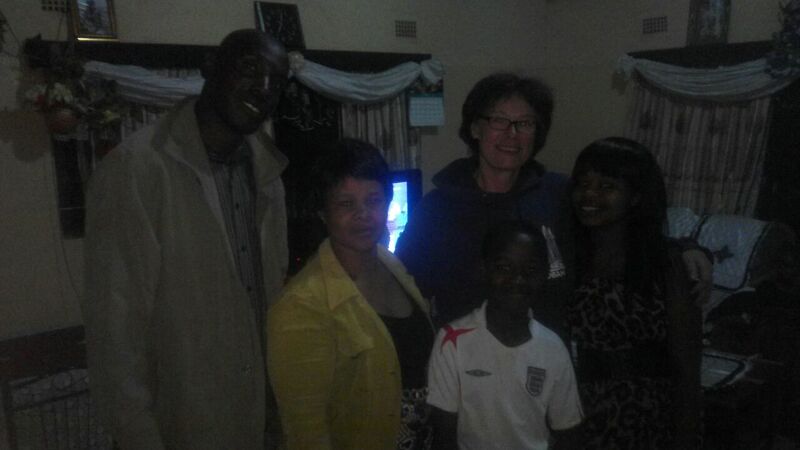 On June 9th Bruni Friedrich, one of the German ladies behind fundraising and technical aspect of our project, arrived in Zambia and visited us for a few days. Time was short, but a very good experience for everyone involved. Bruni wanted to see what was happening on the ground and meet members of the group. 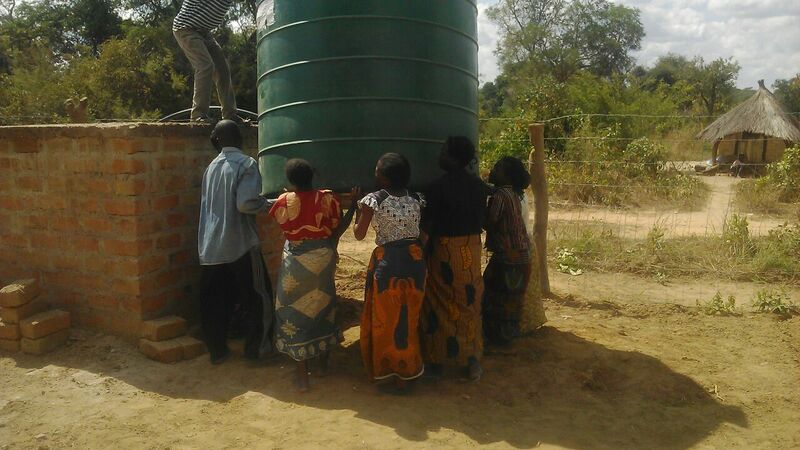 We launched the water system with a little opening ceremony, we inspected the new nursery shelter, we visited households we are supporting and had discussions on challenges we are facing now and way forward. 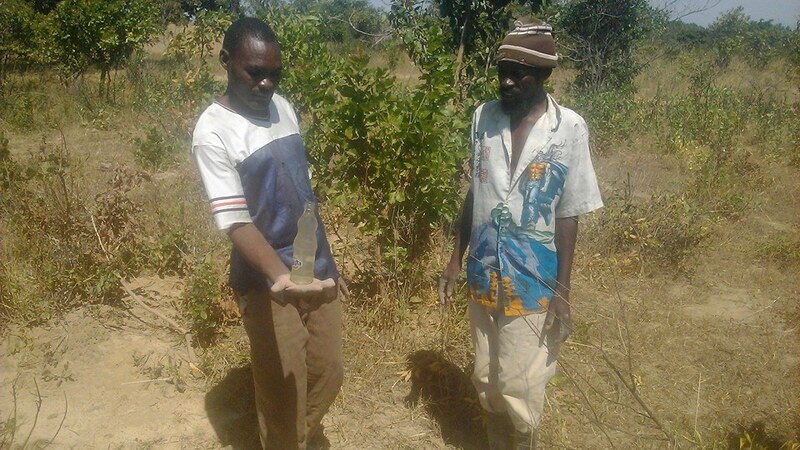 A lot of work still needs to be done to make the project self-sustaining and reach as many people as possible. 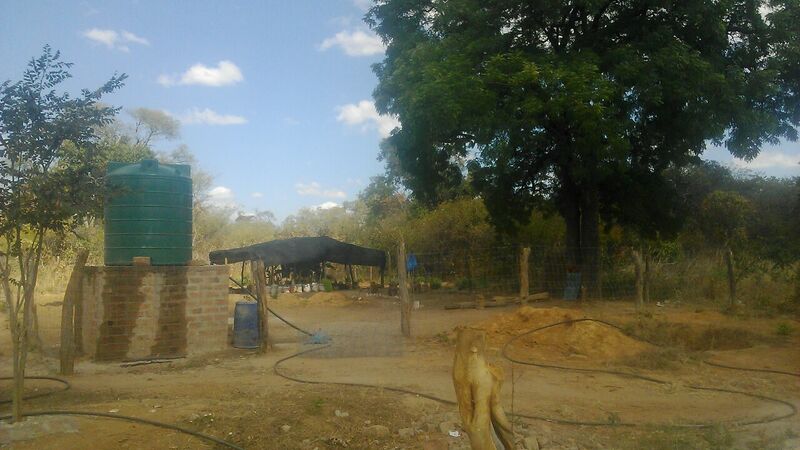 One new aspect that Planting A Future is now facing is to start a community garden where we can grow vegetables for sale and also plant more trees for sale. Luckily enough our generous donor from Baumschule Bösl gave us about 5kg of different veggie seeds to make a start. Bruni took a lot of time and explained how to plant them, how to raise them and take care of the plants. She also explained how to eat some of the veggies since some of them were new to us. Also we agreed to collect the seeds those veggies will bring so we can grow more plants next year again. Another idea that came up is the prospect of expanding the project so that it can be some kind of resource centre for anyone intending to learn about breadfruit and permaculture. Bruni’s visit was an eye opener to us and to her. Meeting Bruni was like meeting an old friend. She just clicked into our way of doing things as if she had lived in an African village her entire life. Bruni’s natural attitude surprised many people who are used to seeing European visitors keep to themselves and do thier own thing. Despite some cultural shock she encountered, like the typical cliché role model of wives showing a bit too much respect for their husbands or different foods, Bruni didn’t face any challenges and didn’t require or expect special attention. She lived our life, sang our songs and ate our food. One amazing thing about her was quickly adapting to using her fingers when eating. 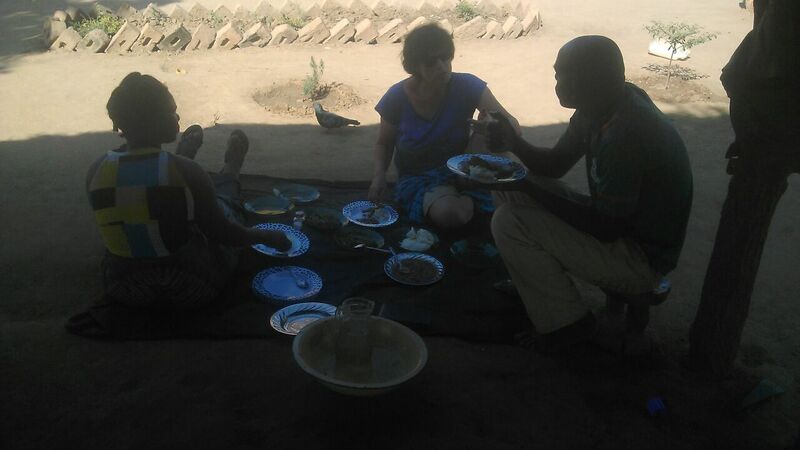 She ate vegetables with groundnuts, okra and boiled beans as if they were part of her usual diet. 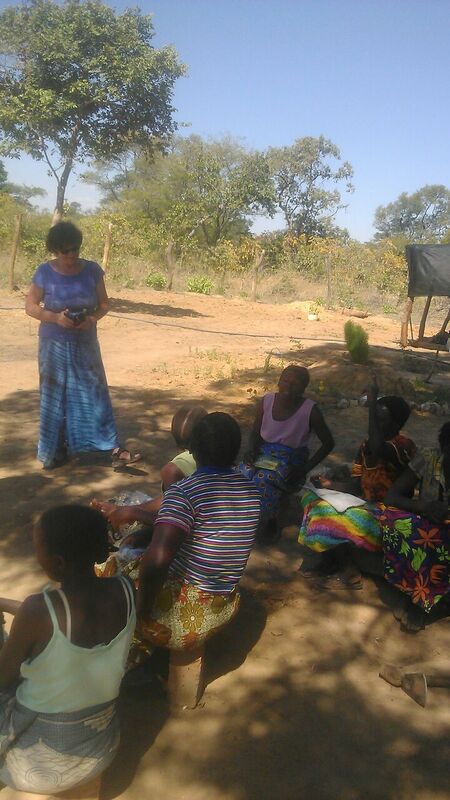 At night she played with kids, a thing impossible with zambian parents. Her love for people, nature, food and all aspects of life was a lesson to many of us. In her special way she was teaching us that whatever one had that specific moment was to be cherished. A lot of things surprised her. 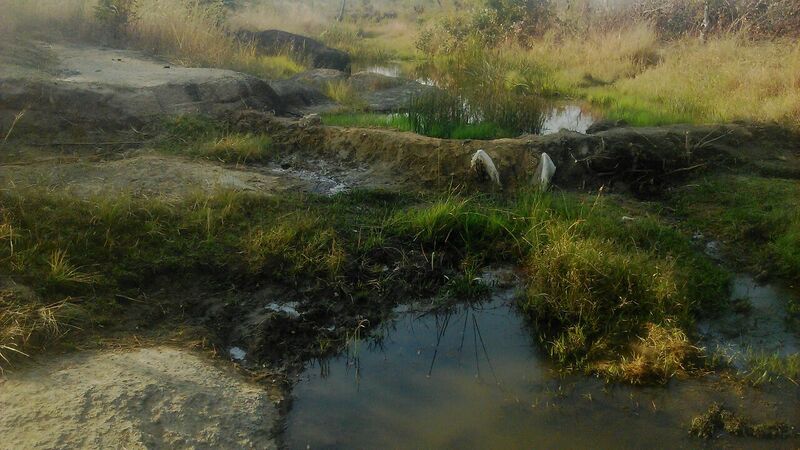 Such as walking 10 to 15km for phone network, the bad state of roads and the bad maize harvest. Bruni was impressed with the passion people had for the project. 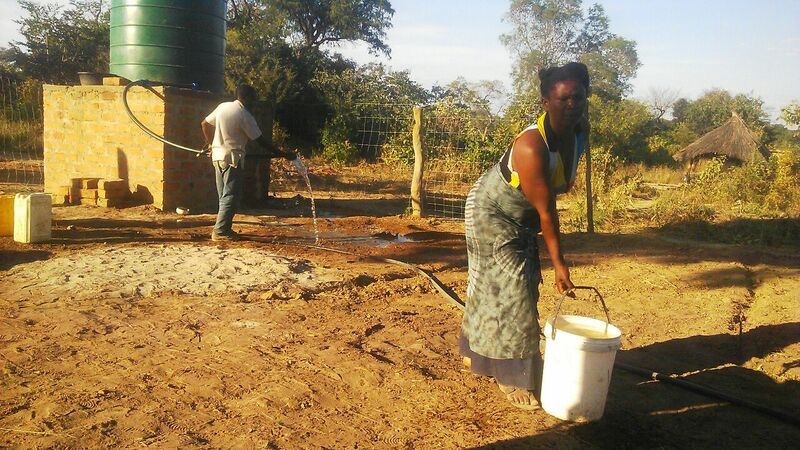 It was such a wonderful thing for her to see a lot of people coming to fix the water system and not expecting any payment. It amazed her that some were walking 17km everyday to help. Now we can water our plants without walking hours and hours. From the love exhibited by all volunteers it was easy to understand why our motto is “Love Without Borders”. Indeed love was evident from the moment of her arrival up to the time she left for the airport. Her positive impact on the village is evident by people asking when thier mukuwa/muzungu was coming back. Bruni’s visit helped bring our project into perspective. 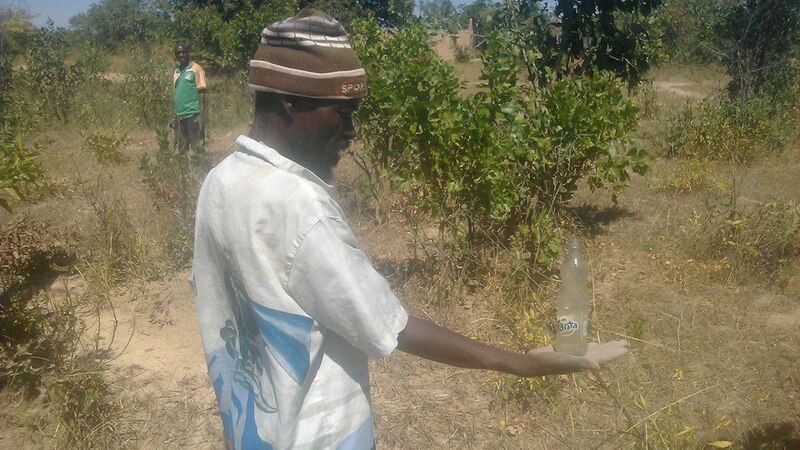 This will make it easier to provide breadfruit and other tree and vegetable seedlings to vulnerable people. When households grow these trees their food security will be guaranteed and kids will attend school while no one will die of ARV poisoning anymore. We will make nutritious foods like breadfruit and other fruit trees available. Planting A Future definitely is love without borders. 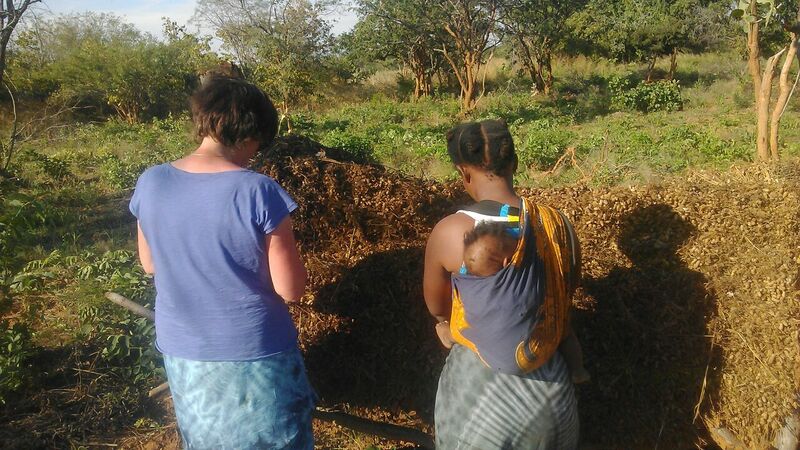 We hope this love will grow round the world and see friends from other countries joining us in planting a future for the next generation.